How do I find a shoe with a good outsole? Will my shoes support my cleat type? What type of closure is best? What materials should I look for? How do I find a comfortable shoe? 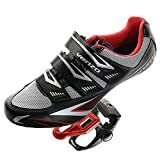 Whether you are just getting into road biking or are a seasoned cyclist, a suitable pair of road bike shoes will undoubtedly aid your performance. However, there are so many different products on the market, each with their own features and claims. If you are not quite sure what to look for in a pair of road cycling shoes, this guide will help you to understand what to consider when buying road biking footwear, so that you can ride faster and better without foregoing comfort or style. There are numerous factors to think about when buying cycle shoes, and each rider has different priorities. Read on to discover our best road cycle shoe reviews. 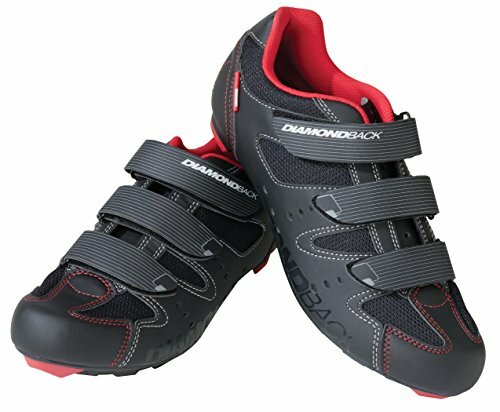 These Diamondback Men’s Century Clipless road bike shoes are equipped with features for comfort and security. The synthetic leather and mesh upper are hardwearing and breathable, while the stiff nylon-fiberglass outsole is effective without sacrificing ventilation. These road cycle shoes are easy to walk in thanks to the useful TPU pads at the toe and heel. 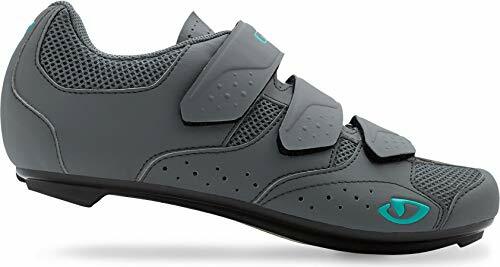 With a soft, cozy lining made of spandex and a removable perforated insole, in addition to the secure 3-strap style, you can be assured of a comfortable fit. These clipless shoes are adaptable for 3-bolt Look and SPD-SL pedals. + Easy to walk in due to TPU pads. + 3-strap closure system for a good fit. Why we like it – These road biking shoes are an excellent choice if you want comfort and ventilation. The features for improved walkability are especially useful. 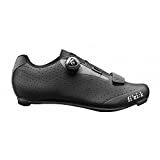 The Giro Apeckz II Cycling Shoes are a great option if you value comfort and style. The mesh upper is welded and bonded, resulting in improved comfort due to fewer seams. With a smart closure combination of micro-ratcheting, N-1 buckle, and 2 straps, the fit is fully adjustable. A molded, antimicrobial EVA footbed provides medium arch support and reduces unwanted odors so you can stay fresh on rides. With a super stiff DuPont Zytel nylon sole, these shoes are durable and offer high performance. This classic shoe offers a standard 3-bolt mount in terms of cleat compatibility. + Stylish and classic look. + Adjustable for a great fit. + Hygienic antimicrobial EVA footbed. + Welded and bonded upper for reduced hot spots. + Stiff DuPont Zytel nylon outsole. Why we like it – One of the main draws of this excellent cycle shoe is the comfortable, high-tech welded and bonded upper for minimal irritation. The secure closure combination also offers a customizable fit. 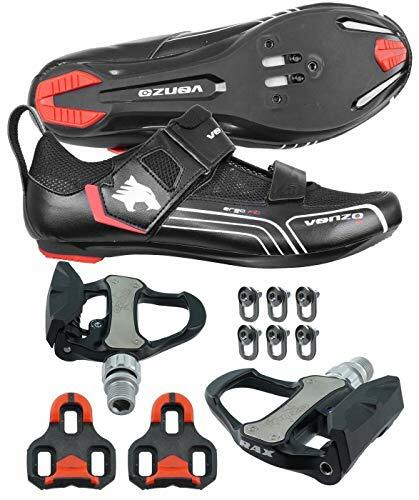 The Venzo Road Bike For Shimano bicycle shoes come complete with road bike pedals, making them convenient and good value. Boasting award-winning technology, these road bike shoes have a breathable mesh and synthetic leather upper which dries quickly, as does the removable microfiber liner. Despite being sold with their own good quality pedals, these versatile shoes are suitable for all SPD, SPD-SL and Look KEO systems. This product also sports a flexible forefoot area for increased comfort and a beveled heel. 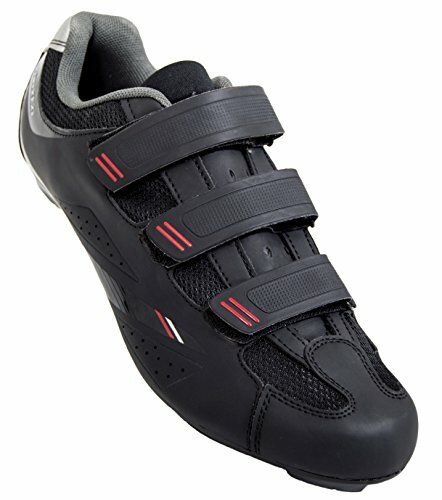 Overall, these road bike shoes are a very convenient, comfortable and easy to use option. + Fully compatible with SPD, SDP-L and Look KEO pedals. + Made using award-winning technology. Why we like it – Although these comfortable Venzo road bike shoes do come with aluminum pedals, they are suitable for use with other pedal systems, meaning you don’t have to use the ones provided. The Venzo Bicycle Bike Cycling shoes are another option which includes pedals. You can be sure of high performance with these shoes which feature award-winning technology. A quick-drying mesh and synthetic upper allows your feet to breathe, while a soft textile lining with a removable sock liner offer comfort. These road cycling shoes don’t just work with the included pedals, they also suit SPD, SPD-SL and Look KEO pedal systems. With an accommodating forefoot and low-cut construction, this shoe offers comfort and easy removal as well as exceptional performance. The aluminum pedals make this product great quality and value. + Designed for ease and comfort. + Supports SPD, SPD-SL and Look KEO systems. Why we like it – The inclusion of great quality pedals makes these Venzo bike shoes a great option for beginners. They are also versatile, comfortable and easy to wear. 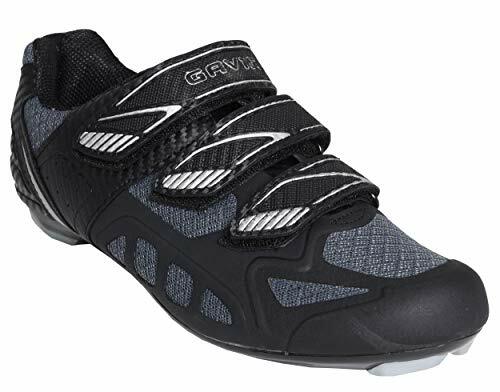 These Giro Savix Cycling Shoes are designed for comfort and versatility. A single BOA L6 closure dial increases in 1mm intervals, allowing for quick alteration and a great fit. With an outsole made of injected nylon featuring a universal cleat mount, you can use either mountain biking or road pedals. A perforated, breathable upper sole and die-cut insole promote optimal comfort, while the synthetic upper gives good ventilation. The Giro Savix does not forego style for substance. It has a sleek, minimalist look and is offered in a range of tasteful color options. + Single dial system for quick adjustments. Why we like it – The BOA L6 closure dial is a stand-out feature of this cycling shoe. It makes adjusting the fit quick and easy, allowing you more time to cycle. The Tommaso Strada 100 Road Touring Cycling shoes are versatile, comfortable and great quality. This shoe is worth considering if you don’t want to shell out for separate road and spin shoes, as they are compatible with every type of cleat, you could possibly need. They boast a foot-hugging synthetic upper and hook and lock Velcro straps to ensure a precise fit. Ventilated mesh makes for a breathable and well-ventilated cycle shoe, while fiberglass reinforced outsole gives you the optimal level of rigidity needed, so you can achieve maximum power transfer. + Compatible with all 2 and 3-bolt cleat systems. + Great value due to versatility. + High quality and durable build. + Reflective rear strip for safety on night-time rides. Why we like it – These great value bike shoes are compatible with every cleat system on the market, including the Peloton bike, making them ideal for cyclists who ride indoors and outdoors. The Fizik R5 UOMO BOA Road Cycling Shoe is highly customizable, durable and possess a range of clever features. A stiff, carbon-reinforced outsole allows for excellent power transfer, while the sculpted insole offers a supportive heel, meaning you can pedal at your best without any annoying heel slippage. The upper is made of lightweight Microtex which is both comfortable and extremely hard-wearing, while laser-cut perforations and nylon mesh sections encourage breathability. The performance-enhancing, easy-to-use BOA IP1-A closure dial and additional micro-straps ensure a customizable, ultra-precise fit. These cycle shoes offer 3-hole road cleat support. + Aerodynamic, carbon-reinforced sole for great power transfer. + Lightweight microfiber upper with ventilation. + BOA IP1-A closure system for fast, accurate adjustments. + Tri-modal fit for comfort. 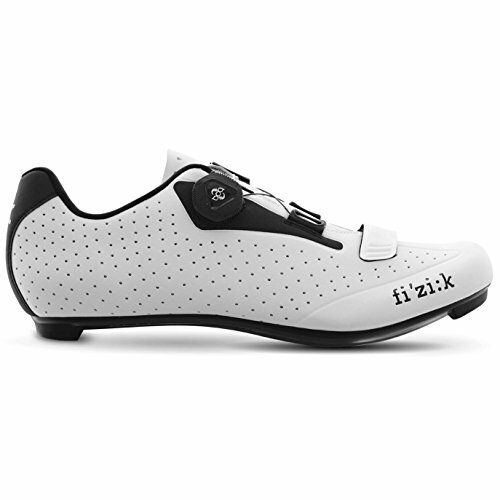 Why we like it – Fizik offer race quality yet accessible cycle shoes. Features such as the BOA dial make these stylish shoes easy to use, superbly comfortable and – perhaps most importantly – maximize performance. 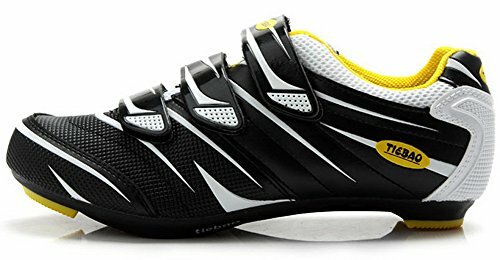 The Gavin Road Bike Mesh Cycling Shoes for men and women are ideal if you enjoy indoor cycling just as much as hitting the road. Compatible with Look, SPD, SPD-R, and SPD-SL cleats, they are a versatile choice. It’s hard to go wrong with these clipless shoes, which offer comfort, performance, and adaptability. They feel great on your feet, with a molded heel cup and padding in the tongue and heel. A rigid sole allows great power transfer while cycling, and the classic hook and loop strap closure makes removing or putting on your shoes quick and simple. + Compatible with Look, SPD, SPD-R and SPD-L cleat systems. + Great for indoor as well as road use. + Stable carbon fiber designed heel cup. + Vented to keep feet cool and comfortable. These Tiebao Road Cycling Shoes have a great range of benefits despite being a budget product. A unique anti-slip heel lining and protective PVC toe cup provide control and security on the road, as does the extended toe bumper. A classic triple strap closure means a quick and precise fit, while the ventilated and lightweight upper is a valuable design feature. The outsole is double-injected with fiberglass, improving that all-important energy transfer and keeping the wearer comfortable on long cycle trips. These shoes are also versatile, as they support all SPD, SPD-SL and Look KEO style pedal systems. + Anti-slip lining on the heel. + Durable toe cup for security. + Classic three-strap closure for an ideal fit. + Dense nanometer fiber and mesh upper for comfort. Why we like it – These great value road biking shoes sport all the features any beginner could need. These are perfect if you seek a combination of easy use and high performance. 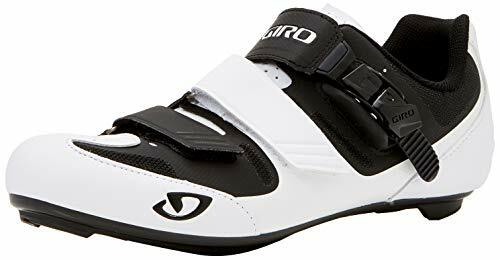 Featuring a stiff nylon sole and simple triple-strap Velcro closure, the Giro Techne Cycling Shoe is a classic option with some useful features. A durable synthetic leather upper is complemented by ventilation windows and small perforations. The toe box in these shoes gives ample room, and they are comfortable and supportive to wear. The stylish black and white color schemes on offer make this a good-looking shoe. It’s great to see that both 2 and 3-bolt cleats are compatible with this product. 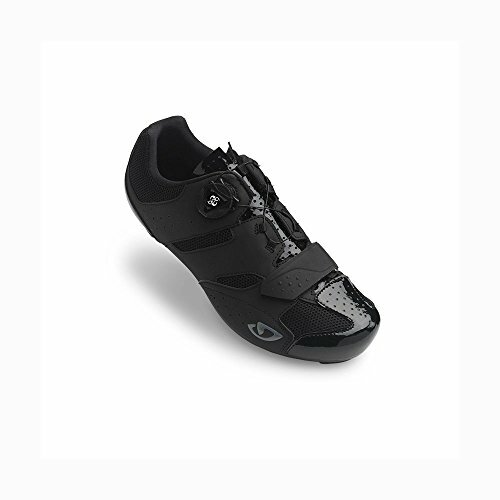 Overall, these Giro Techne women’s bike shoes are great all-rounders. + Simple Velcro strap closure system. + Provide comfort and support. Why we like them – These women’s road cycling shoes are a superb entry-level product which will keep your feet feeling great on rides, allowing you to focus on your cycling. If you are serious about your cycling performance, you will find that a suitable pair of road biking shoes helps you to ride to the best of your abilities. However, there are many factors to consider and features to look out for when buying road cycle shoes. Of course, comfort and functionality are major priorities, but have you considered that making adjustments quickly and easily to the fit of your shoes may impact the quality of your ride? Or that purchasing a more versatile shoe could save you money if you enjoy spinning and indoor cycling as well as road biking? Our guide takes you through some of the most important things to look for in your next pair of road cycling shoes. A stiff outsole is important in any road cycle shoe, as it will keep your foot in a comfortable position and let you achieve optimum power transfer. This will allow you to pedal harder and faster, and to get the most out of your ride. Brands use different methods to create a rigid sole, with more expensive shoes sometimes sporting a stiffer sole than entry-level options. Materials including nylon, composite or carbon-fiber are common in cycle shoe outsoles. As a beginner, you may find a shoe which has a small amount of flex slightly more comfortable, although the energy transfer may not be as great as in stiffer shoes. Also take into account that a lighter sole is generally better for fast pedaling, allowing you to achieve more on your ride. It is important to check that whichever shoe you buy matches the cleat system of your choice. Some cycle shoes will only accept 2 or 3-bolt cleats, while others are more versatile, meaning that you can use different types of cleat with the shoe. 3-bolt cleats are the most common with road cycling shoes, as they provide a wide platform, and most products at a higher price point will only be compatible with 3-bolt systems. 2-bolt cleat shoes are easier to walk in, which may be ideal if you plan on off-road journeys where you may need to spend time on your feet. If you are planning to use your shoes for spin classes as well as road cycling, there are products which will accommodate this too. Overall, it is important to consider whether you want a shoe which is designed specifically and solely for road biking, or one which offers you entry-level value and versatility. Road cycling shoes use a variety of closure types. Look for styles which will offer a comfortable, precise fit, which you can easily alter on rides. Laces are seen on some bike shoes but can be awkward and time-consuming to readjust, making them less popular than other closure styles. Lightweight Velcro straps offer great value and are ideal for getting a comfortable, precise fit. However, this type of closure is not the most durable over time and can also be a little tricky to adjust on the go. 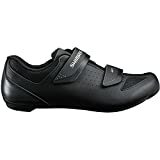 Nevertheless, many entry-level cycle shoes – and some higher-end ones – opt for this style of closure to keep prices low while still providing a great fit. Plus, they are far easier to adjust than laces. Ratchets are a closure option which is often used in combination with other styles. They can be more precise than straps, so are often used on slightly more expensive shoes. However, they are not loosened as easily as other closure types. A secure dial such as the popular BOA is arguably the most effective option, as it offers extremely easy and precise adjustments. Cyclists can effortlessly make incremental changes to the fit of their shoes even while on the go with a dial system, and they are highly secure. Dials are commonly used on high-end, professional shoes. If the exceptional performance of a dial closure sounds like something you would appreciate in a cycling shoe, be prepared to spend a little more. Many road biking shoes sport a synthetic leather upper. The advantage of this material is that it wipes clean easily, making it a great option for outdoors. The upper of your road bike shoe should feel durable yet comfortable. Ventilation is important in cycling shoes, so look out for mesh panels or windows in your footwear. Without enough well-placed ventilation, your feet will overheat causing discomfort, unwanted odors, and sweatiness. Breathable fabrics will also ensure your feet keep cool, especially in summer. If you plan to ride at night, you will probably want a shoe with some highly visible elements. Reflective strips or accents on cycle shoes are a great option for improved safety. Keep in mind that white or brightly colored footwear may also show up in the dark. Look at the composition of the inner sole and note features such as a molded heel cup. A toe box with ample room will protect your feet against rocks or other outdoor hazards, as will a bumper. Also, consider the width of the shoe and pay attention to sizing guides when buying online. Keep in mind that road cycling shoes may feel stiff and difficult to walk in, but this is normal. They are designed to allow you to cycle efficiently, and therefore will not feel like sneakers. There is a range of factors to consider when buying road cycling shoes, from materials to cleat systems. Hopefully, this guide will help you to make an informed decision when choosing which cycle shoes to opt for to improve your performance and comfort on rides. At the end of the day, different cyclists will have diverse priorities, and you should consider what features will benefit you the most.